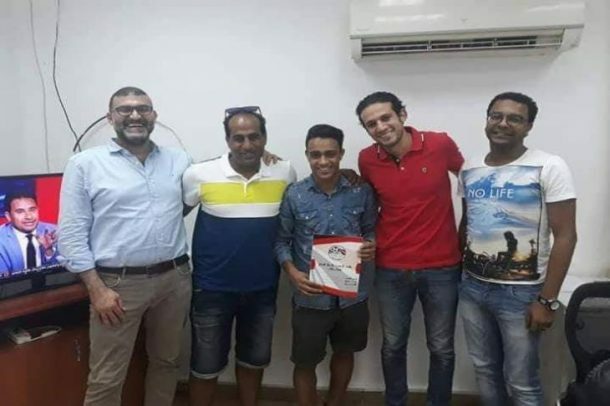 Aswan FC playmaker Mostafa El-Badry officially joined Al Ahly for five years to become the club’s fourth signing during the summer transfer window. The Red Devils recently signed Dakhleya defender Ahmed Alaa, Malian defender Salif Coulibaly on a free transfer deal after his contract with TP Mazembe expired, Al Nasr’s Amar Hamdi and now Mostafa El-Badry will be joining the club next season. With the presence of Al Ahly’s director of transfers Mohamed Fadl and the player’s agent Tamer El-Nahas, the Cairo giants announced the 3-million EGP deal for five years, in addition to 15 percent to Aswan in case Al Ahly decide to sell the player. The 21-year-old player joined Aswan in 2017 coming from Kima Aswan. He played a total of nine games during the 2016/17 season and scored one goal before his team was relegated.